This is a unofficial EXOS version developed by me It is contains some bug fixes and some additional features. The story: in the early 90's years will available the 27512 EPROMs in the hungarian electronic markets. 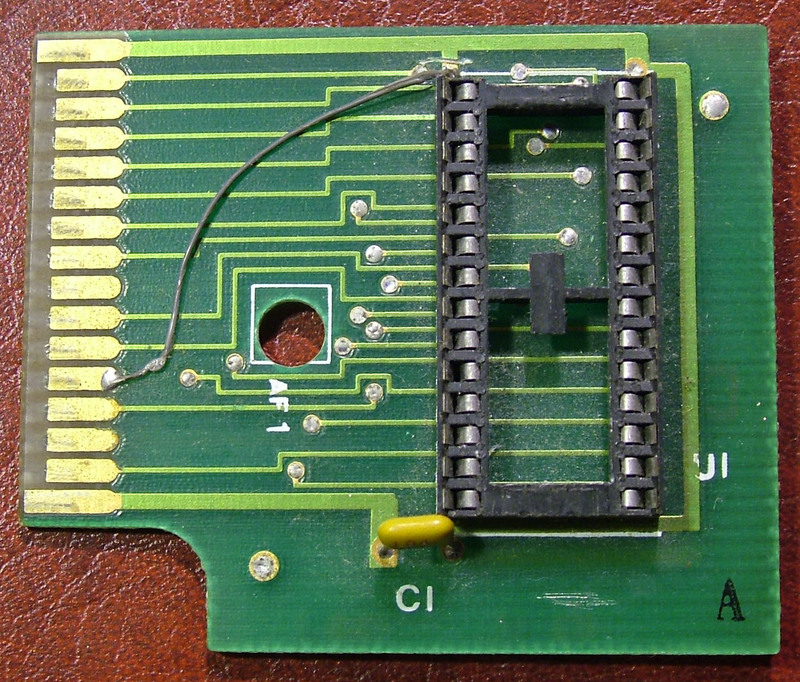 Many user modified own cartridges to use these EPROMs for got a full 64KBytes capacity of the cartridge. From the EXOS documentations I know the 00H-03H segments decoded to the internal ROM, but currently only 32KB used (00H-01H). I thinked: let's try to put 64KB EPROM to the internal ROM socket. Ok, what can we do the extra ROM space? All Enterprise users started to learn using the computer by the IS-BASIC. In the later time the IS-BASIC prompt remainig the most frequently used user interface of the Enterprise. If you use other cartidges than the BASIC, then needed all time cartridge changing when you want to return to the IS-BASIC and vice versa. This is not to good for the cartridge connector. Or needed to put IS-BASIC ROM to all cartridges. This is also not to good solution, becouse you lost 16KB space in the cartridges. My first extension for the 64KB internal ROM: put the IS-BASIC ROM to the 03H segment! No more cartridge needed for use IS-BASIC! This the second all time needed program, if you have memory expansion. The EXOS 2.2 is the first extended version, the most comonly used the 2.3. You can control the test by keys pushed down when you press the Reset button. N: use the original EXOS RAM testing routine for testing RAM segments. This is the most reliable but the most slowly. But only need to use when you install new memory expansion. Normally running the fast test. R: the EXOS 2.3 normally detect and preserve the RAMDISK. If you want to delete it, then use the R key. F1: only test 128KB memory. Some bugy programs only run on the original 128KB configurations. 4,5,6,7: if you put SRAM chips to our cartridge you can use as memory expansion by pressing one of these keys. The memor test run to 04H,05H,06H,07H segments. Originaly run only to 08H for searching RAM segments. F2: the EXOS 2.3 search ROM extensions at ALL segments. It is great for using higher capacity EPROMs, you can burn more programs to one EPROM. But if you want you can return to the normal EXOS ROM search routine by the F2 key. The original routine are only test 04-07H,10H,20H,...F0H segments. This feature good for temporary disabling some ROM extensions in some compatibility reasons. F3: not check the ROM equality. Normaly only the lower ROM added to the ROM list if two ROM segments are equal (the first 255 bytes compared). For example this feature good if you want to try out a BASIC cartridge but the internal BASIC ROM disable it. If you press F3, the the cartridge BASIC is also added to the ROM list, and started. F4: delete ROM simulations. With the EXOS 2.3 you can simulate ROM extensions in the RAM. Before any segment tested as RAM segment, the 2.3 test routine check it is started with the EXOS_ROM or TEST_ROM string? If yes, then this segment skipped at the RAM test and can be detected as ROM. F5: delete EDCW extensions. Extensions of the EDC Windows handled as similar to the ROM simulations. STOP: halt on when deffective RAM segment detected. You can read the segment number which are deffective. The test will be continued by pressing any key. Additional feature of the EXOS 2.3: if not needed then not execute the cold reset. Check some system areas in the System Segment, and if these are intact then go to the Enterprise logo if the warm restart address not definied. The original EXOS cold restarted if the warm restart address not definied. With the 2.3 method your system settings and etc preserved if possibble. Why this is needed? The most of the Enterprise games (including the original factory released games!) not use the features of the EXOS The correct loader program define warm restart routine, and for example quit to BASIC when the Reset is pressed. But when you use EXOS 2.3 your machine never restarted unnecessary! Other feature of the RAM test routine: detect the bit deffective RAM segments. For example one of the eight DRAM chips totaly deaded on RAM expansion card. With the original RAM test the card totaly not detected. With the 2.3 test the card detected as BAD. In this situation the 2.3 detect 256KB good and 256KB bad memory. This is a wrong instructions order, becouse the segment number lost when the POP AF executed. I want to ask you how the EXOS 2.3 emulates ROMs in RAM and if I can implement it easily. Yes, the new speed test routine check the segments for ROM ID string. If any segment identified as ROM, then not deleted by the RAM test. And if you want to delete this simulated ROM segments, then needed to press F4 key when making cold reset.